15 days Everest Base camp trekking, the life time experience journey to world highest mountain, Mount Everest ” SAGARMATHA” . A journey begins from Kathmandu and fly to Lukla. The trail passing through mountains (in Sherpa language its called Ri), Sherpa village, monasteries. Mount Everest Base Camp trails itself a mountain paradise which offers you to view four of six tallest peaks in the world which include Mount Everest (8848m), Lhotse (8516m), Makalu (8463m) and Cho You (8156m) . Two Weeks Everest Base Camp Homestay Trekking journey begins from flight to Lukla Airport(2860m), the one of most adventurous airport in the worlds and trek 3 to 4 hrs upwards to Phakdin (2660m) for first night stay in Khumbu region. Journey to Mount Everest Trekking go up to Namche Bazar (3440m) for your acclimatization to adopt climatic condition for a one full day. Next morning start trek for another two days to Dingboche (4,260m). Further another two days of trek will ultimately lead to Everest base camp passing Gorakshep small settlement that sits at its edge at 5,164 m (16,942 ft) elevation, near Mount Everest. The village is not inhabited year-round and Mt. Pumori( in Local language Pumo means Beautiful and Ri means Mountain). journey to Everest base camp serve you magnificent view of mountains, colorful sherpa village, welcoming Peoples and an experience of open worlds heritage site Sagaramatha National Park to feel the nature, various flora and Fauna. 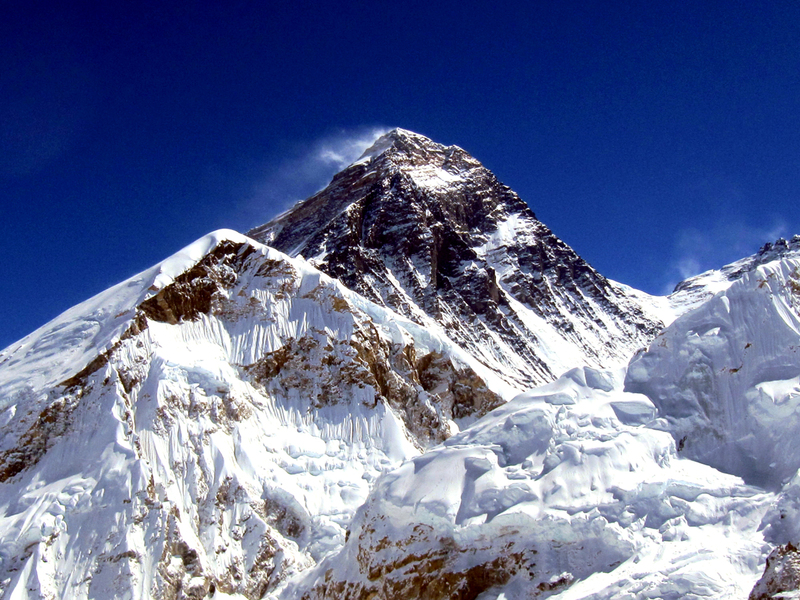 Trekking to Everest Base Camp can do from September to November and March to May for best view and experience. General Information Everest Base Camp Homestay Trekking. Trip Fact Sheet of Everest Base Camp Homestay Trekking . Arrival at Tribhuban International Airport ,our representative greet you and transfer to Hotel by private Car. Morning Kathmandu to Lukla(2860m) flight and trek to Phakding (2660m) 3 to 4 hour Trek. Trek from Phakding to Namche Bazaar (3535m) 6 to 7 hour Trek. Overnight at Homestay /Lodge, Namche Bazaar (3535m) . [B, L, D] – Small Family run homestay/tea house . Trek from Namche to Tengboche (3890m) 4 to 5 hour Trek. Overnight in Tengboche (3890m) . [B.L.D.] – family run teahouse/homestay . Trek from Tengboche to Pheriche (4240m) 4 to 5 hours Trek. Overnight in Pheriche (4240m) [B.L.D. ]- Family run Teahouse . Acclimatization day in Pheriche (4240m). Trek from Pheriche to Lobuche (4620m) 5.5 hrs Trek. Overnight at Lobuche (4620m). [B.L.D.] – Moderate service lodge house. Trek from Lobuche to Gorakshep (5180m) 3 Hrs Trek. Overnight at Gorakshep (5180m) . [B.L.D.] – Moderate service lodge house. Trek from Gorakshep (5180m) to Lobuche (4930m) 2 Hrs trek. Overnight at Lobuche (4930m) . [B.L.D.] – Moderate service guest house. Trek from Lobuche (4930m) to Dingboche (4410m) ¾ Hrs Trek. Overnight at Dingboche (4410m) . [B.L.D.] – Moderate service guest house. Trek from Dingboche (4410m) to Namche (3535m) 6/7 Hrs Trek. Overnight at Namche (3535m) . [B.L.D.] – Moderate service guest house. Trek from Namche Bazar (3440m) to Lukla (2850m) 6/7 Hrs Trek. Overnight at Lukla (2850m) . [B.L.D.] – Moderate service guest house. Flight from Lukla (2860m) to Kathmandu (1350m). Departure for your onward flight. ***All Above Cost are based on minimum 2 person. For Solo trekkers please write us , we do arrange for you . 3 Nights Kathmandu in standard Hotel on BB basis. All ground transportation on private vehicle , Kathmandu-Lukla-Kathmandu flight ticket . Eco trained government licences trekking guide, porter, Everest cultural expert local monk Guide . TIMS Card, Sagarmatha National Park entry permit, Local community charges . Lunch / dinner in Kathmandu . FAQ 1 :What is payment Terms for Everest Base Camp Home stay Trekking? For booking Everest Base Camp Homestay Trekking, please email us to booking@ecoholidayasia.com or fill booking form on this page or can call our team directly to +97714260072 / +9779849027214 (24X7 Available Call | Whatsapp| Viber| Wechat) . FAQ 3 : We are Old people, can we Join Everest Base Camp Homestay Trekking ? Its depends on your physical conditions . IF you are fit you can join trekking option for Everest Base Camp Homestay Trekking .